Welcome back. If you’ve been following this blog (thank you) or ever clicked on “Food” on the blog topics list (it’s on the website’s right margin), you’ve seen posts on breakfast, broccoli, chili peppers, chocolate, dining out, entomophagy (insects), Isaan Thai food and more. Although nuts and peanuts (a legume, not a nut) were pictured in the food pyramid in a Mediterranean diet post, the time has come to give them star billing. Why? Because I’m going shopping this morning, and we’re out of nuts. (I eat a handful of unsalted nuts and peanuts every day.) Also, there was a study linking nut and peanut consumption with health, specifically lower mortality. It’s far from the first study to find the association. This latest study was by researchers at the Netherlands’ Maastricht University Medical Centre. They analyzed dietary and lifestyle habits of 120,852 men and women, age 55-69 in 1986, and both total and cause-specific mortality 10 years later. 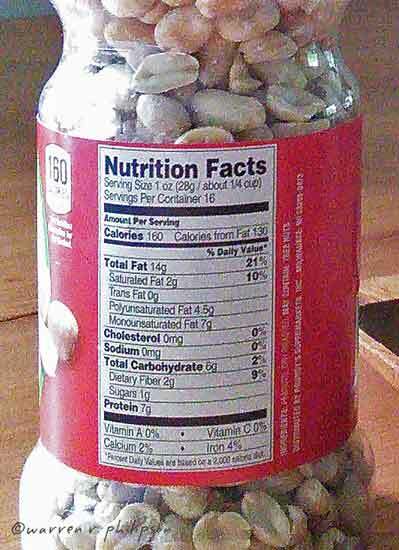 The dietary data included how often nuts, peanuts and peanut butter were eaten as well as the amounts. Like earlier studies, they found nut and peanut consumption were associated with lower mortality due to cardiovascular diseases. But they also found the association extended to other causes, including cancer, diabetes and respiratory and neurodegenerative diseases. Two other findings were particularly noteworthy. The first is that lower mortality was associated with an average daily consumption of as little as 15 grams of nuts or peanuts or about half an ounce or half a handful; eating more did not reduce the mortality risk. The second is that the association with lower mortality did not hold for peanut butter, presumably because of its added ingredients. Lest you entertain the notion that the study population might have been too narrow or homogeneous, let me add that a different large scale study found the association with decreased mortality held for low socioeconomic status Americans of African and European descent and Chinese in Shanghai. That study, published a month before the Dutch study, was led by researchers from Vanderbilt University. 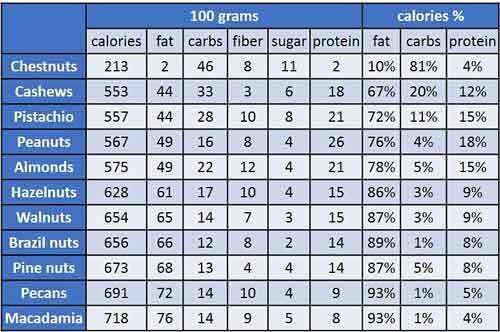 There’s no question as to why nuts fit well with a good diet. Reporting the positive results of still another large scale study of nut consumption and mortality--this one led by Harvard researchers--the authors characterized nuts as being nutrient-dense foods that are rich in unsaturated fatty acids, fiber, vitamins, minerals, and many other bioactive substances, such as phenolic antioxidants and phytosterols. That’s hard to beat. Probably the only drawback of nuts and peanuts, other than a possible allergic reaction, is the relatively high fat and calorie content. With moderation that may not be much of a drawback. Based on a systematic review and meta-analysis of 31 published clinical trials, collaborating researchers in Spain found diets with 1 to 3 ounces of nuts a day, for from 2 weeks to over a year, showed no increase in body weight, body mass index or waist circumference compared with control diets. Moreover, in trials that required limiting overall calories, participants in the groups that ate nuts tended to lose more weight than participants in the control groups. Large scale studies like those done or led by Maastricht, Vanderbilt and Harvard universities are critical and convincing, yet there is a caveat. They’re cohort studies, a type of longitudinal study I described in an earlier post (I’m Shrinking!). These studies identify correlations from questionnaire data. They are not clinical trials in which participants receive one or more interventions, or none, in order to evaluate the effects of the interventions. 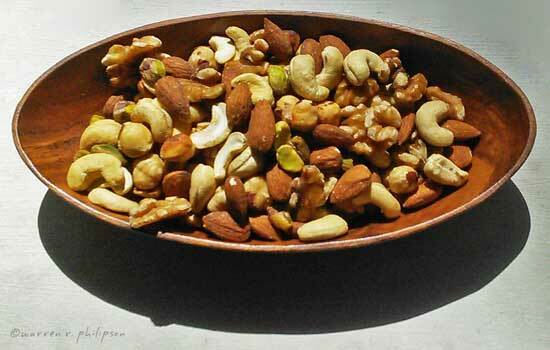 There is no testing of consuming different amounts or types of nuts against control groups, as in the clinical trials reviewed in the Spanish study. Nevertheless, the evidence is overwhelmingly in favor of adding nuts and peanuts to your daily fare. Just don’t overdo it. Thanks for stopping by.